A speaker is someone who speaks. Tessa is a native speaker of French. The speaker lectured on the interpretation of DNA tests. 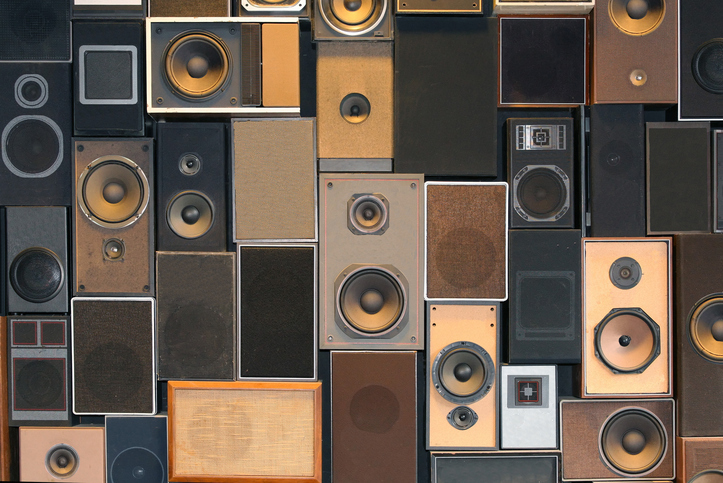 A speaker is also a device that changes electrical signals into sound waves, that we use to listen to music. The new speakers in our home theater are great! The Speaker of the House (of Representatives) is the leader of the lower legislative chamber in the US. The Speaker, elected by the other representatives, is third in line to the presidency. Listen to the ’80s song “Mr. Speaker Gets the Word” by Madness, a British ska/pop band. There are other meanings of speaker.